My summer self does not set the alarm. My summer self starts the day on my screened in porch, near the blue hydrangeas. My summer self enjoys leisurely drinking a cup of coffee. My summer self has flip flop tan lines. My summer self meets up with friends and family for lunch and shopping. My summer self reads whatever she likes. My summer self takes my kids to camp in the morning and picks them up too. My summer self buys my children snow cones from the ice cream truck almost every day. My summer self can go to the movies in the middle of the day. My summer self can enjoy the weekends without grading or planning. My summer self applies sunscreen often, washes beach towels every day and looks for camp shirts and bathing suits in the morning. My summer self is more "Mom" than teacher. My summer self embraces this season. My summer self will be packed away with the shorts and bathing suits when school arrives. #SOL18 From "I Can't" to "I Can!" The training wheels were off. He hopped on the bike and it wobbled to one side. His foot touched the pavement, pushed off and he tried again, wobbling to the other side. The bike veered one way then the other and I held my breath. Just a few weeks ago, he was adamant that he would NEVER ride a bike. Why should he ride a bike, he reasoned, when he plays baseball? He would never need to know how to ride a bike. He could just follow his friends on his scooter. Bike riding would not be part of his life. I'm not exactly sure how we went from NEVER being a bike reader to trying again, first with training wheels, then without. But tonight, I watched, holding my breath, as a shaky start lead to continuous, exhilirated pedaling. He rode his bike faster, even riding over speed bumps and navigating turns. I couldn't do it for him, he had to prove it to himself that he COULD do it. Swirly slides that splash you into the deep part of the pool. New bikes. Swimming lessons with a different instructor. Bikes without training wheels. Keynote speeches written and given. These are the challenges my children and I have been facing this summer. The scary, uncertain things we think we cannot do that are also exciting and exhilarating and make us grow. Summer has brought about more time for reading. So far this summer, I read Liane Moriarty's The Hypnotist's Love Story and Jandy Nelson's I'll Give You The Sun. I'm also reading Sara K Ahmed's Being the Change. All of these books together are making me think about identity and the stories we tell ourselves about who we are and who we are not. 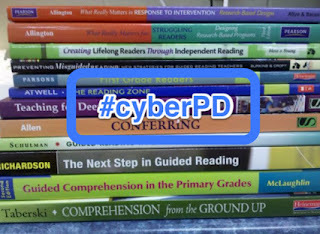 One thing I've come to look forward to each summer is #CyberPD! Reading a professional book and discussing it with other educators around the world has pushed me to grow each time. This year, we are reading Sara K. Ahmed's Being the Change: Lessons and Strategies to Teach Social Comprehension. I've been preparing for a Keynote Address, which I am so honored to be giving at Long Beach Literacy Day next week (#LBLit18). The speech is on telling your story as a teacher and being an educator who writes- topics near and dear to my heart. As I've been drafting, I've been going back in time and seeing myself at every age and stage of my teaching life. 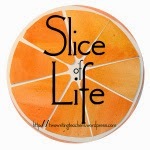 I've also been rereading my blog posts here and digging up my Long Island Writing Project Summer Institute publications. Isn't it amazing that the teacher who arrives at a classroom is really a patchwork of all that she has experienced? The teacher I was at 22 years old is different from the teacher I am now, 17 years later. More squares have been sown into my quilt. More experiences, more texts read, more conversations, more reflections. The patterns are more intricate now and detailed. I didn't know what I didn't know then- there was enthusiasm, passion and purpose but there was so. much. to. learn.